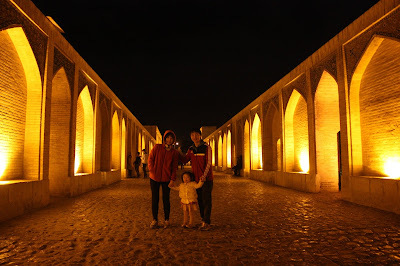 Uppersia Iran Travel blog: Bridges to Safavid dynasty! 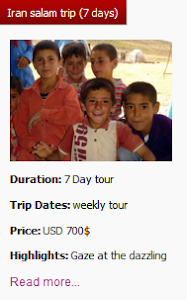 Isfahan, known as the city of blue tiles, is one of the most touristic cities of Iran. 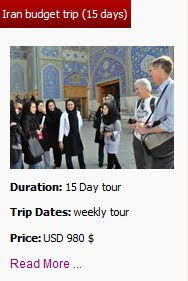 Walking in Isfahan is like exploring a great museum of Persian arts and stunning monuments, which are constructed based on architectural proportions and aesthetics and ornamented with fabulous brick and tile works. Isfahan has been the capital of Iran during Safavid dynasty and many of the stunning monuments belong to that era. The beautiful bridges on Zayanderud River, connecting the two parts of Isfahan are fabulous samples of Safavid architectural masterpieces in Isfahan. You can walk by the Zayanderud River for about one hour and visit three of these historical bridges built over this river, which is so precious to the people of Isfahan, because of providing water for agriculture and making their city a much more beautiful place. Si-o-Seh pol (33 bridges): This bridge has been constructed during the kingdom of Shah Abbas I, in 1596 B.C. Si-o-Seh pol, known as the longest bridge on Zayanderud River, is 295 meters long and 14 meters wide. According to the old travel books written by globetrotters who traveled to Iran during Safavid era, the people of Isfahan used to celebrate the “Ab Rizan” ceremony near this bridge. “Ab Rizan” was a fun summer festival, including swimming in the river and pouring water on each other! Si-o-Seh pol Bridge in Isfahan. 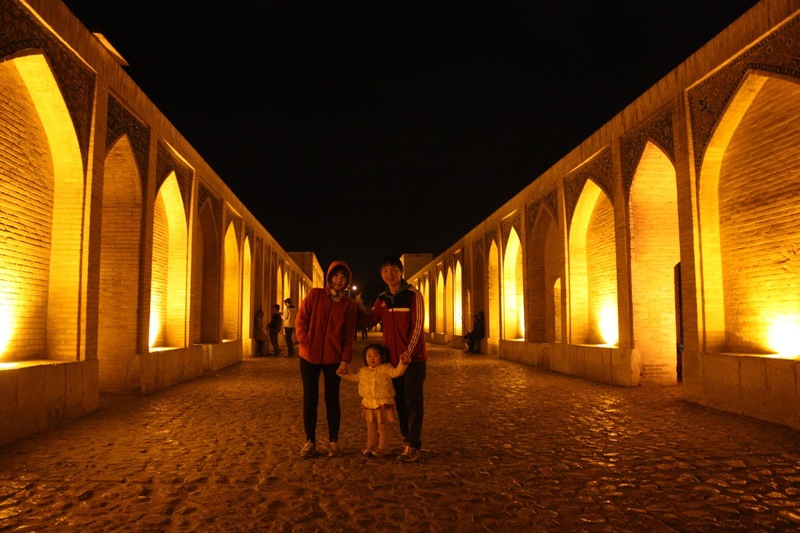 Jouyi Bridge (Choobi Bridge): This bridge was built in 1654 B.C, during Shah Abbas I’s kingdom. Jouyi Bridge is 147 meters long and it is famous for the hexagon-based pavilion, located in the middle of the bridge. Khajou Bridge: This beautiful bridge has been built during the kingdom of Shah Abbas II and it is 133 meters long and 12 meters wide. A small building, ornamented with nice tile work is constructed in the middle of this bridge and it is said that it has been the place where the Safavid kings and governors used to seat and watch swimming and boating competitions. This bridge has 24 arch shaped spouts. Today, Khajou Bridge is so popular among the tourists and the people of Isfahan and it is known as a place where many people hang out in the nights and sing old Persian songs. People of Isfahan gathering under Khajou bridge. Marnan Bridge: This bridge is located on the west of Isfahan and it has been constructed during Safavid dynasty to connect two districts of the city, Marnan and Jolfa. Today this bridge has 17 arch shaped spouts. 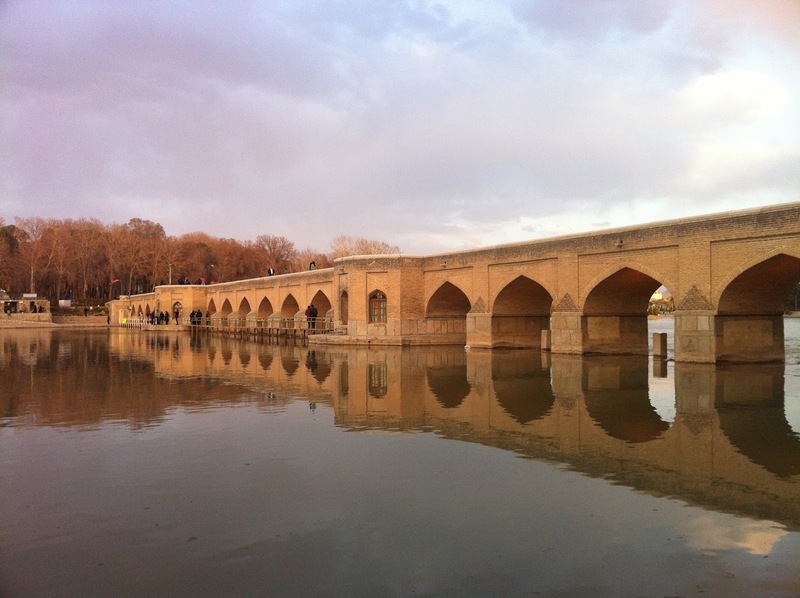 Shahrestan Bridge: This bridge is also named “Jey bridge” and it has been constructed during Sasanid Empire. This has been a military bridge about 105 meters long and 4.5- 5 meters wide with 11 spouts and big stone stands. 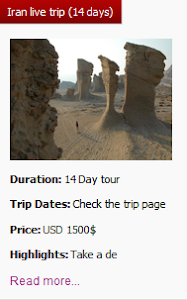 Visiting the nice city of Isfahan and its stunning bridges is included in most of Uppersia tours of Iran, like Iran salam trip and Iran photography trip. 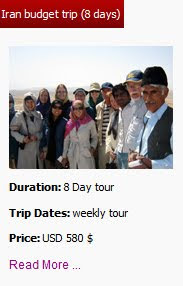 you can even join day tours of Isfahan and know more about these nice bridges.